At The Poisoned Pen with Jane Harper! Barbara: Thank you so much for coming, and I would like you to welcome Jane Harper on her first visit to The Poisoned Pen. [lots of clapping] Jane has come to us from Melbourne, Australia. For any of you who may have grown up in the Midwest, Melbourne is not dissimilar to the northern suburbs of Chicago. One of the reasons why I love Melbourne, aside from the university and its unbelievably good city library-- one of the best city libraries I've ever been to-- is the botanical garden. So, a question for you: living in Melbourne toward the southern end of Australia, what's drawn you so often to Queensland and the outback? Jane: [looking out at audience] Thank you all for coming, by the way, it's really lovely to be here. Yes, as you said, I live in Melbourne. It's coastal, very urban obviously, but I think for me the settings are such an important part of the book that there are a few reasons why I go for the more remote, isolated settings. I think they're a gift to Australian writers. Beauty, brutality. Things can go wrong very quickly there. It really lends itself well to the mystery and suspense elements of the story. I don't know how many of you are familiar with the geography. The outback is in the northeast, very central, it's what we call the interior, and it's full-on outback. It gets to well over 105° degrees every day in the summer. It's very isolated, and it's a very brutal landscape. People live out there, they make their livelihoods out there. I'm really interested in those sorts of communities that are so isolated that everyone knows all the aspects of each other's lives. That's sort of how I started to come up with the idea for this book. We are familiar with what the environment can do to people. There are people who die here of dehydration and other related things on a fairly regular basis. 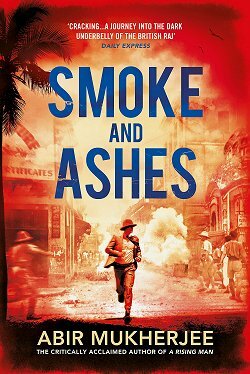 It's even more deceptive here because it looks like the city and people (mostly visitors) don't realize how dangerous the heat can be even in a city, but the outback that you're writing about-- especially in this new book-- it isn't a city, it's very sparsely populated. Jane: I think the thing that struck me when I went out there for my research was how well-prepared people are out there. The locals at least. The tourists not so much. The tourists do all sorts of stupid things, but the locals are so well-prepared. You open up the backs of their cars and they have a week's worth of supplies. Liters of water, food, shovels, a first-aid kit, all the sorts of things they need for survival. It's often the tourists who get in trouble because they're so used to being close to help that it's hard for them to realize how isolated the area is. 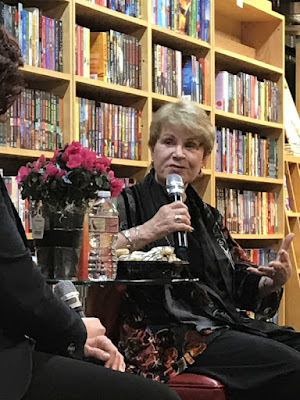 Barbara: So in your first book, The Dry, which gets its name from the fact that the area you write about has long been stricken by drought, how ironic that one person in it dies in the water. 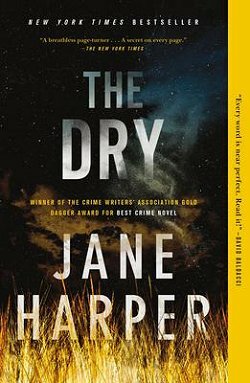 Aside from the main crime, I thought it was really interesting that someone drowns in a book called The Dry. 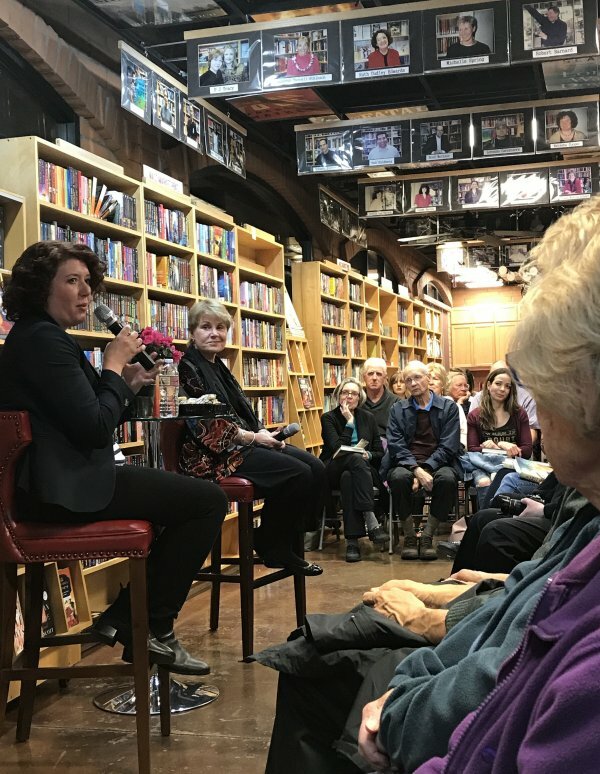 Jane: One of the things I was really trying to pull out in The Dry was that these communities that are suffering from really extreme drought weren't always like that. People used to have thriving farms and businesses that ran well based on the land and the weather patterns. A lot of those have disappeared and they haven't got the ability to reinvent the industry so a lot of people don't know what else to do. It was a sort of contrast I was trying to capture. You go back not so many years ago and the towns were very different then. Barbara: As a reporter, are you inspired by things you've written about or have come across in your role as a journalist? Jane: I was a journalist for thirteen years. I worked on two papers in the UK and I worked on two papers in Australia. I covered all kinds of things during that time. I did crime, health, community things, education, all kinds of different topics. I think journalism helped me in a lot of ways. I've never used any specific event that I covered. I think it's really unfair to use real people and real events unless you're going to be completely upfront about that. What I've tapped into a lot more is the emotional aspect. When you go out to see someone who's had something happen... it could be something very traumatic or something rather minor... but in some way, it affects them and you try to listen to their story, how it affects them and their community, and you try to tell it in a way that people who haven't experienced the event can relate to the people and the situation. That's the sort of skill I found very useful in fiction-- trying to capture those emotional and psychological impacts and write them in a way that readers can recognize them. Barbara: Certainly in The Dry, the whole dynamic of the community has a huge amount to do with how the story plays out. As a reader, I've always felt that the best books are the ones where you can root for the hero and really mourn the victims. You should feel loss when people die. One of the crimes in The Dry... you'd like to think that when people are killed, it's for a big reason and yet one of the crimes in The Dry I thought was so interesting was because it wasn't. 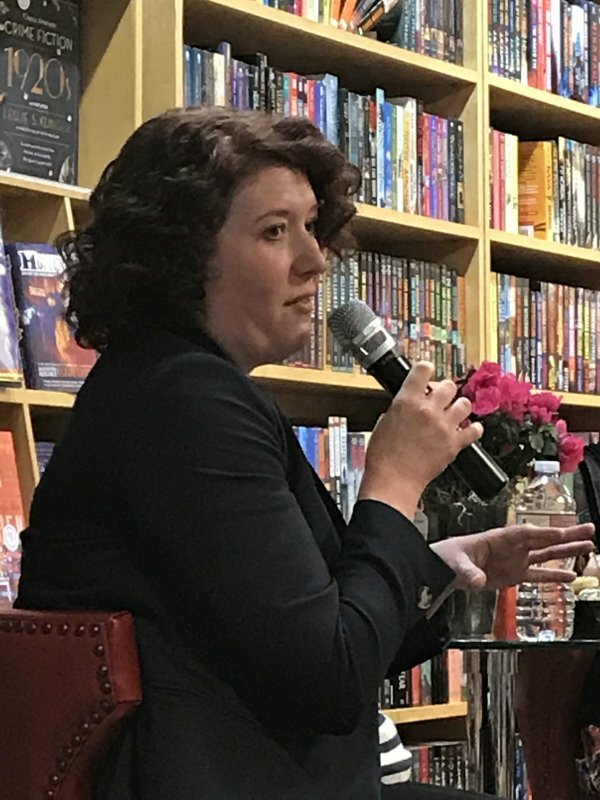 Jane: I think with all the books and the way the stories play out I always try to tuck into the authenticity and make scenarios believable. A big part of that is looking at life and how mundane it can be. How people can make really difficult decisions and do things they otherwise would never dream of doing. Often they're not dramatic. Barbara: I thought it raised the impact of the crime since it was an ordinary person pushed to an extreme. I had this discussion with Joe Finder who was here last week and who has a protagonist who has put herself in a bad place-- she's had a one-night stand that comes back to haunt her-- and the challenge then was to make the readers really sympathize with her as her dilemma progresses. Because she put herself in that situation in the first place. How can you make her really sympathetic to readers? 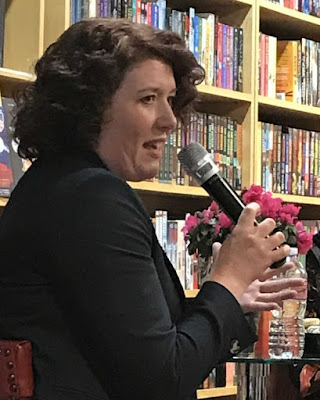 Jane: For me, the crime is really the catalyst to tell the story. 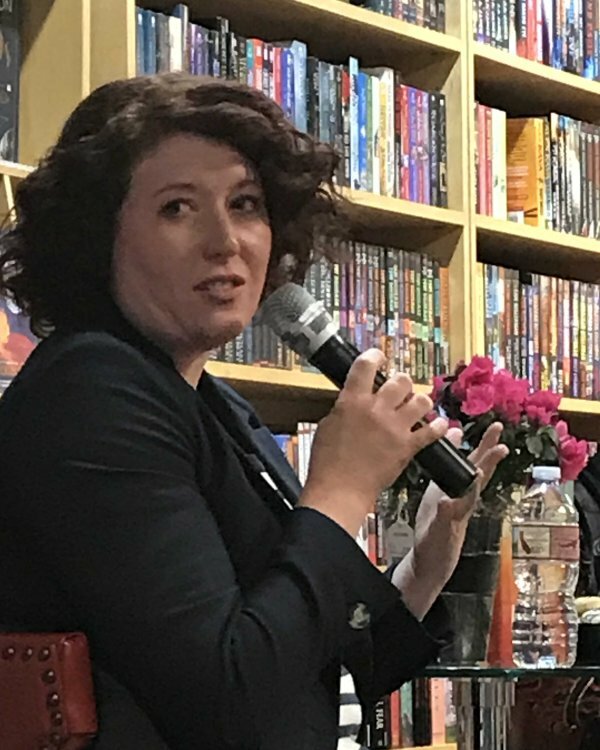 It's never about the crime for me, it's always about the characters, and I think that's what I'm really interested in. Why people behave in certain ways and what sort of factors come into play to make them into the people they become. That's been true for all the books, but especially in the third book [The Lost Man]. 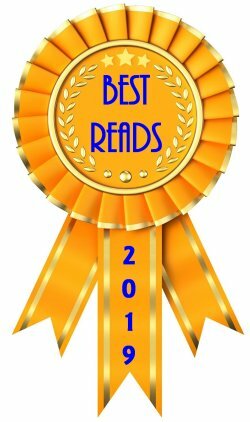 It was a really interesting character study for me as I wrote it. Barbara: So, in your new book, the landscape turns out to be the murder weapon. Can you tell us about the-- this all happens right at the beginning so no spoilers-- stockman's grave and how the person dies in its vicinity? 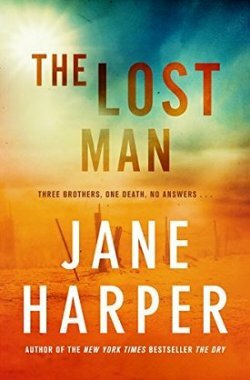 Jane: In the first pages of The Lost Man, we open up with the death of a man. He's found in the middle of nowhere on this really isolated cattle property. He's the middle one of three brothers. They're all grown up, they're all outback men through and through, they know what they're doing out there. This particular man is found miles from his home and his car, and he's found dead at one of the few manmade landmarks in the area-- the stockman's grave. It's not a real landmark, but it is based on real things that I discovered during my research. In the outback, they can have these instances where someone has died in the middle of nowhere, and if they're lucky someone has come along later and put up a bit of a memorial to them. You can be out in the desert and come across one of these incredibly ornate graves standing all alone, and I thought that it was such a striking visual that I just had to put it in the book. Barbara: How long did it take your character to die? Jane: When I went out there to do my research, I had a really strong idea of what I wanted to have happen. I remember thinking that maybe I exaggerated the dangers here but I can probably get away with it. When I actually got there I realized that I'd completely underestimated the dangers in terms of the length of time people survive. If you're really unlucky, it can be a matter of hours. We're not even talking a full day. That really surprised me. Barbara: I think of Queensland as crocodiles and jungle. [chuckles from audience] I do! I was really interested in the size that Queensland must be-- didn't you say that they were five hundred miles west of Brisbane... for your locale in this book? Jane: Yes, Queensland is huge. It's the biggest state. It's very diverse. The town in the book is fictional but geographically it's based on the town where I went to do my research. To get there I had to fly to Brisbane then to a town five hundred kilometers west, and from there I met a police officer who-- he's a fascinating man-- who'd lived in Birdville, this tiny outback town, for ten years. He singlehandedly policed an area the size of England all on his own. [sounds of amazement from audience] That was his job for a decade, so he was an amazing resource as you can imagine. I met him and he very kindly offered to drive me on this sort of bizarre, epic road trip that lasted eleven hours and nine hundred kilometers (which is about six hundred miles) across the desert outback. During those eleven hours, we saw fifteen cars the entire time, and some of those were traveling convoys. He told me his stories and he answered all my questions. He introduced me to all sorts of people: the Aboriginal elders, the nurse who drives the ambulance... I ran all my different scenarios past him. It was a really fascinating trip. Barbara: Are you finding that doing this is bringing you a greater knowledge of your own country? Jane: It definitely is. The kind of area the book is set in is something that most Australians are very aware of, but in terms of actually getting out there, it's quite a trek. It took me ages to even get there and once you're there you're stuck there-- like there's only a plane in and out once a week. Accommodations are few and far between. It's a trip that not a lot of Australians actually get to make. Barbara: And it's someplace you might not have gone if you hadn't been writing this book. Jane: You're right. 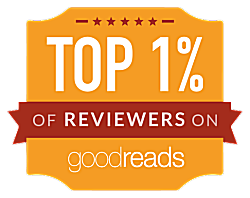 I'm a full-time author now, and I'm really impressed by how willing people are to help authors. I knew this as a journalist, but I was used to being attached to a newspaper and being able to just pick up the phone. I wasn't sure if I were just an author writing a book that people would still be so willing to help. I think people love talking about themselves and their experiences, and if you're genuinely interested and willing to listen and be accurate they're happy to help you. Barbara: I think you're right. We've had hundreds of authors sit here and say that. So you like to write stories that have a fairly limited number of suspects? Where this crime takes place, there are not a lot of people, so you have a small pool of potential suspects. We're pretty sure that he didn't go out there to commit suicide. That would be an awful way to die. 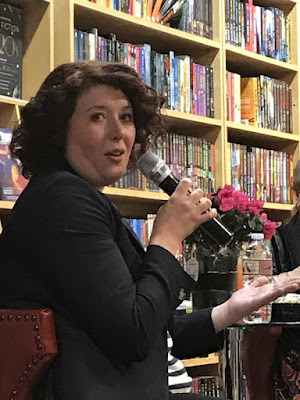 What's the trick for you as a novelist with a small cast to keep it going and to cast your red herrings and clues about and make it interesting? Jane: I always enjoy having quite a tight cast of characters. I find it easier as a writer to keep characters under control. And as a reader as well. I hate it when you're reading these books where a character-- the killer-- gets dropped in at the last minute and you haven't gotten a chance to get to know him. There's a fine line between surprising and tricking the reader, and you always want to come down on the side of surprise. Barbara: In your second book [Force of Nature], there was the classic so many people went into the woods and one fewer came back. That's a wonderful structure. That was a different landscape from the one we've been talking about. What drew you to that? 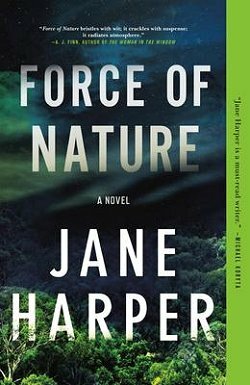 Jane: Force of Nature was, again, set in a remote area, but this time it was bushland in the winter. It was a fictional area outside Melbourne. A group of women goes on a corporate retreat, team-building sort of exercise, hiking in the woods. There were a few reasons why I chose that. One was that I consciously did not want to write another book like The Dry. I was so delighted with The Dry and the response to it from readers, but I think it would have been a mistake to try and replicate that. It's important to push yourself and explore new ideas. I wanted to set it somewhere different but still recognizably Australian, and I thought the dense bushland was a great option. Barbara: Is there anything you'd like to say about The Lost Man that I haven't asked you or that hasn't come up? Jane: I really loved writing this book. It was so much fun, and the whole thing was something that I thoroughly enjoyed. The research stage through to exploring the new characters. Oh! I should mention this. The Lost Man is a standalone. 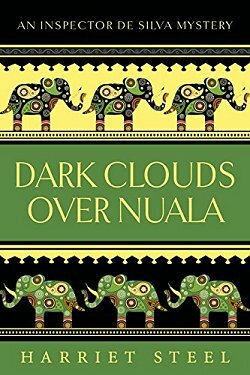 The first two books had the same recurring character, Aaron Falk, but I knew that the setting for this book wouldn't work for him unless he was on holiday. [audience laughter] It was really enjoyable for me to get to know these new characters and sort of to build out from scratch. I still find myself thinking about the characters from The Lost Man, especially Nate. Unpacking all the background that made him the man he is was really interesting for me as a writer. Barbara: It's a book that you don't want a sequel to. You want it to end where it ends and then you can imagine what their lives might be like. Which is the way I always felt about Gone With the Wind. I never really wanted to know what happened after she went back to Tara. [audience laughter] I've said this before: Rebecca ended when the house burned down, and all these tiresome things like Mrs. deWinter... who wanted to know? That wasn't really the point. Jane, your book has had great international success. You won the British Gold Dagger for The Dry. For those of you who don't know, that's the British Crime Writers Association's highest award. We have the Edgar in the United States, we have the Ned Kelly Award in Australia, and in Canada, we have the Arthur Ellis Award, which is really kind of gruesome because it's a little man hanging from a gibbet-- Arthur Ellis was the hangman of Canada-- who was Ned Kelly? Jane: He was a bushranger-- quite a dangerous and notorious man who shot a policeman. You've probably seen illustrations showing him wearing the helmet he fashioned out of a bucket? He's gone down in Australian legend. Barbara: What does the award look like? The Edgar is a sort of peculiar bust of Edgar Allan Poe, and the Dagger is, obviously, the dagger, but what does the Ned Kelly look like? Jane: It actually is his mask, [audience laughter] so it's a wooden frame with this sort of metal mask on it. It's a nice-looking award. Barbara: This is the first time you've toured the United States. Have you toured the UK? Obviously, you must've gone around Australia. Do you find differences in going around the various countries in the reactions you get? 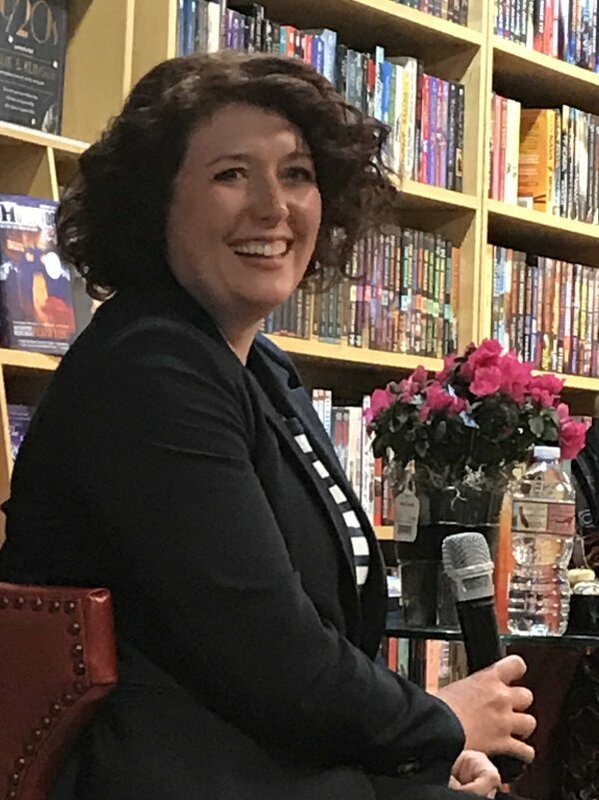 Jane: I've done quite a bit of touring in Australia, but this is the first time I've been in the States, and it's really great to be able to have the chance to do that. I've been over in the UK a little bit for The Dry. I went to the Harrogate Crime Festival. That was really interesting. It's an event full of enthusiasts who come from miles around. It's so well attended. Everyone comes every year and they all know each other. There's a very festive atmosphere. It can be very interesting. Sometimes you do get some slightly different takes on the book. In Australia, they're more familiar with the settings of the books, so there's a sort of shorthand in use; we don't have to discuss some things to the degree I have to elsewhere-- especially in Europe. Like here, you guys know heat and you know space. I think there are a lot of similarities with Australia here as well. It was then time for the Q&A section of the event, which I'm not going to transcribe. I'm always conscious of not wanting to take up all your time. If you haven't already, I certainly hope that you take the time to get your hands on a copy of The Lost Man and read it. It's on my Best Reads of 2019 list, so you know I loved it! For those of you who would like to watch/listen to the event in its entirety, here is the link to it on The Poisoned Pen's Youtube channel. Thank you, thank you. I could barely believe my eyes when I saw this post's heading. Jane Harper: Wow! I've read her three books, and eagerly await more. And wait for more books by this very skilled writer. And glad you're up and about, reading and writing. I'm glad you enjoyed my recap, Kathy. Ah, lucky you, Cathy, to have gotten this chance. Harper is such a talented writer, isn't she? And it sounds as though she's just as interesting in person. Thanks for sharing.